Valentine’s Day can be stressful, especially when you’re in that odd place in a new relationship where you’re not sure what—if anything—to get your SO. The key to gifting on V-Day in early stage relationships? Finding something low-key, not too serious, and creative. You want to show them that you’re listening, without coming in guns blazing and freaking them out. Luckily, we’ve done the hard work for you, and rounded up some solid gift ideas that’ll hit all the right marks. Click through the slideshow ahead and breathe easy—your gift will have the apple of your eye running into your arms, not for the hills. A great low risk, high reward gift is a box of candy. This time, skip the heart shaped chocolate box and treat them to a higher-end option. Sugarfina is a great choice because the company boasts chic looking candies that both taste good and are expertly packaged. This is the ideal gift for relationships that have been going on for a while, but aren’t too serious. At this stage, you won’t want to get them something too generic—you’ll want to show them that you’re paying attention, all the while keeping it lighthearted. These customizable Roomba skins are a good example of an I’m-listening-but-not-being-aggro gift: They’re a little silly in nature, but actually upgrade your SO’s Roomba to better match their home. This gift is best paired with a witty card. 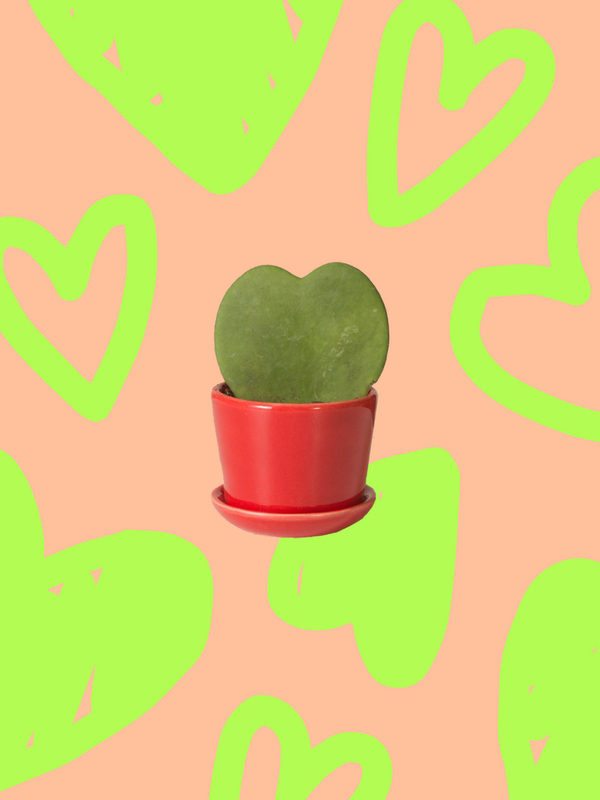 If you can’t help yourself from getting something heart shaped, try to resist anything too cheesy: That’s where this Hoya Heart plant from The Sill comes into play. It’s a cute gift that will give their home a little life without overly injecting yourself into their space. Plus, this plant is known to grow painstakingly slowly, so if your love lasts, you’ll get to literally see your love grow with time. Just be sure not to say that last sentence to them… keep it lighthearted and whimsical. Does your new SO have a hobby or interest they always talk about? Their enthusiasm likely means they’d want you to get involved in the hobby, too. Think of ways to get involved together—for example, let’s say they have a thing for puzzles. Get them a super cool puzzle you can do together. Photography by NEED SUPPLY CO. Emphasis on subtle here—a coffee table book like this New York Times 36 Hours: Europe is one they’ll actually want guests to look through, but also subtly hints at potential trips to come with regard to the two of you. This is the perfect gift for relationships that are getting close to that coveted first trip together as a couple. Is there something that has helped you grow in a huge way that your new SO talks about wanting to conquer? For example, let’s say your new SO wants to be super productive with regard to a new endeavor they’re focusing on. Give them some inspiration with a productivity planner that is tried and true because it has helped you. There is, however, a fine line to keep in mind here—there is merit in giving something that has proven to be helpful for you, but don’t buy them something that hasn’t already been test-driven. You don’t want to send an accidental message that they are broken and need fixing. The key, once again, is to still keep it light and airy so that the gift comes across as inspirational… not as self-help. Not feeling any of the gifts because the relationship is just too new, or because you’re too nervous you’ll make the wrong move? You can’t go wrong with a sweet handwritten note that tells them how fun it’s been getting to know them. Keep it light, simple, and kind—a little goes a long way.